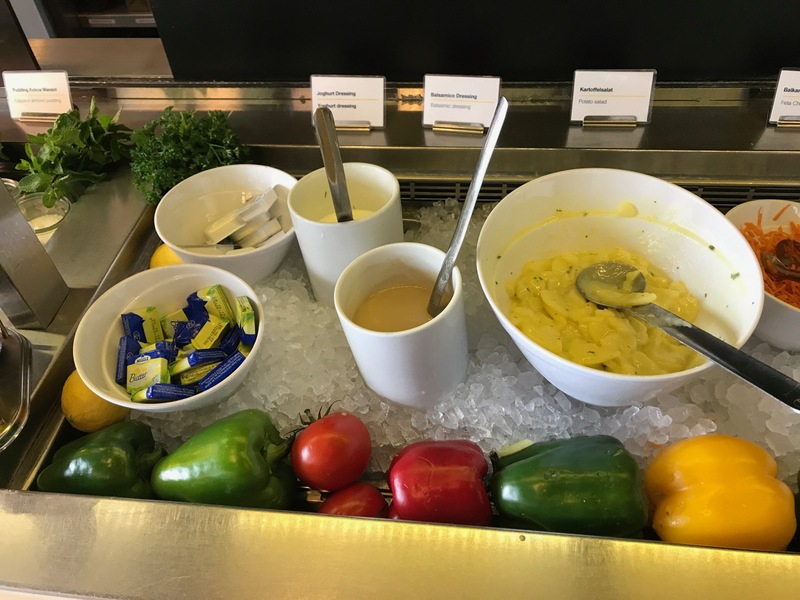 On the whole, I’d rate the Lufthansa First Class Lounge experience to be one of the best in the industry. But did you know that one business lounge in Frankfurt makes you feel like you’re in the first class terminal? That’s because Lufthansa’s A26 Business Class Lounge is a former First Class Lounge. 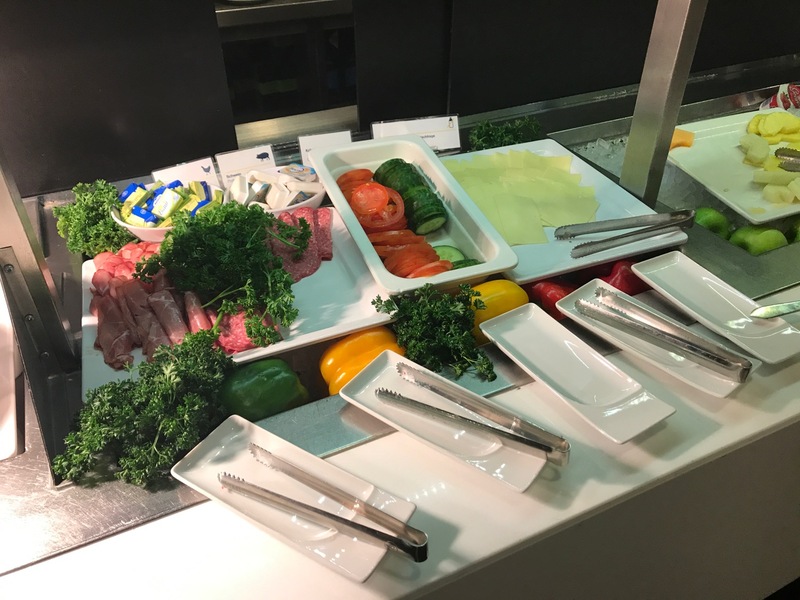 And while this lounge no longer offers à la carte dining or a full buffet, Lufthansa left many first class elements unchanged. First, the decor and color scheme of the lounge is like other first class lounges. Second, sleeping rooms and lockers are still available. Fourth, private work areas remain. Fifth, and most important to me, the lounge offers great coffee made by a barista. Compared to the self-serve machines in every the other Business and Senator Lounges (except B-Gate Senator Lounge), this alone is worth the extra walk to use this lounge. The cigar lounge has been turned into an additional seating area with computers (and still reeks of cigars). Here’s the buffet. Surely not first class, but still very decent. There is a downside to this lounge: it gets very crowded. In fact, I’ve been twice this week and it has been packed both times. But on the whole it is worth the walk. The lounge is in the Schengen Zone, but even if you are traveling outside you can use this lounge first then transfer to the B or Z gates. I stumbled upon this lounge by accident…perhaps it was written up before and I just missed it, but I was very pleasantly surprised to find it. 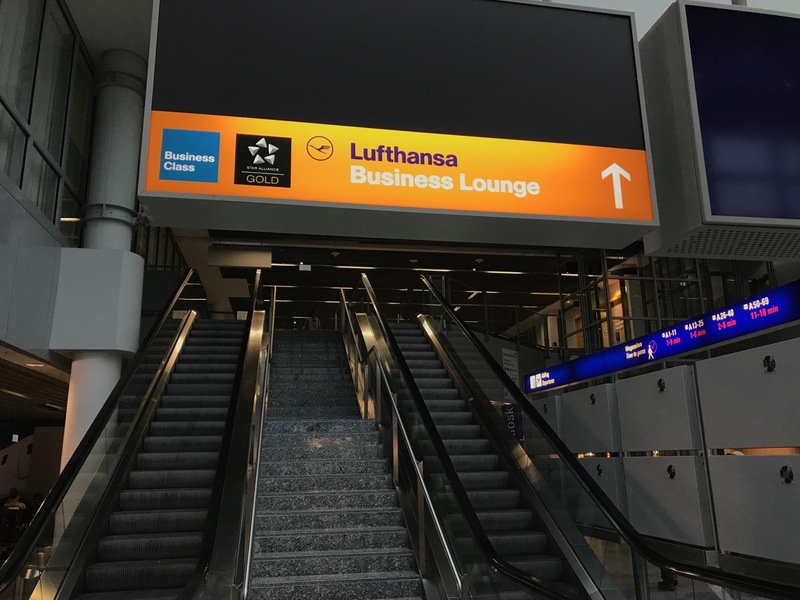 If you’re connecting on a Star Alliance flight within Europe, take some time to stop by this lounge rather than the one just past security. Next Article Emirates CEO: We Need More A380s! how would you rate that against the Senator Lounges ? Less hot food, but far better than every Senator Lounge in the A/Z gates. Those empty bar shelves look pretty depressing. I’m not a coffee snob, but I do very much enjoy a Latte from the WMF machines. I’d be tempted to even buy one if I could find a place for it in my kitchen.